If there’s any one band that should be acknowledged for their strength, resilience, and unrelenting motivation, it’s The Hunna. Not only are they one of the best British bands around right now, but they’ve had to fight harder than most to get to where they are today. After ditching their management, resulting in the rescheduling of an entire tour and a nasty legal battle that is still going on months later, The Hunna have come back more driven than ever. Luckily for us, this drive has only made them an even more phenomenal band, resulting in an indescribable live show. 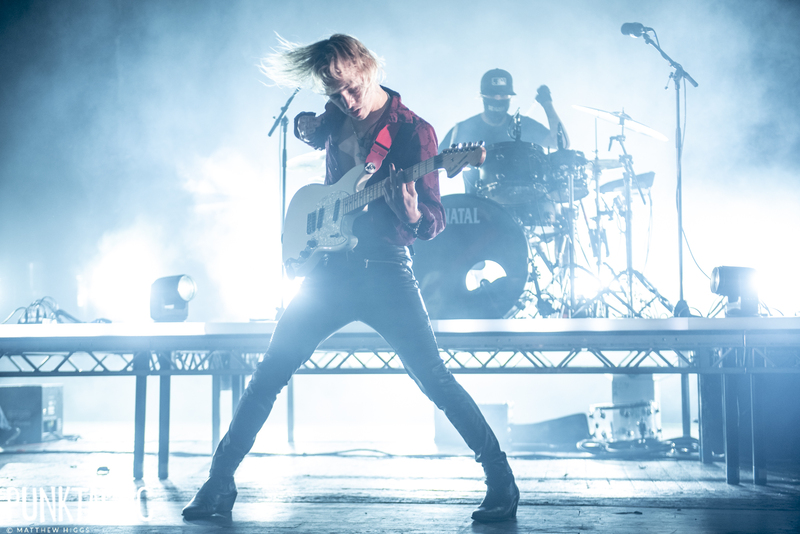 From the moment they take to the stage at this sold out Brixton show, to the moment they walk off, the four members of The Hunna are filled with fire and determination. Kicking the night off with ‘We Could Be’ is poignant, since the track – which was released long before any of their management struggles began – stresses the point that without the negativity that has surrounded them, they could have grown far faster than they did. It’s a bold way to start the night, and if The Hunna weren’t as talented as they are, it might come across bitter or even conceited. Instead, it acts as a fair acknowledgement of what this band can achieve and ignites something fierce in everyone in the room, setting the tone for the night. From the offset the crowd, as they say, goes wild. Regardless of where you’ve positioned yourself for the evening, you find yourself surrounded by mega fans, screaming every word and throwing themselves fearlessly into the mass of bodies around them, as well as scrambling onto each other’s shoulders with no encouragement necessary from the band. While members of the crowd are clambering around, the four band members on stage are putting everything they have into this performance, and every moment is impressive. Vocally, Ryan is strongest during ‘Bad For You’, and seemingly happiest during ‘Flickin’ Your Hair’. None of this, though, comes even close to comparing to the atmosphere that fills the room during ‘Babe, Can I Call?’, which incites the loudest singalong of the night. Perhaps this is due to it instantly becoming a fan favourite upon the release of sophomore album ‘Dare’ back in July, but more likely it’s as a result of learning that the aforementioned management team never wanted the track to make it onto the record in the first place. The response highlights more than ever that The Hunna know themselves and their fans better than anyone who claims to have the skills and experience to guide them in their career. ‘Rock My Way’ sees the crowd jumping obediently, while ‘Bonfire’ takes the metaphorical fire within the band and makes it literal with pyrotechnics. ‘She’s Casual’, as always, is completely taken over by the crowd during the first verse, with the band letting us have our moment before Ryan joins in for the chorus – and as each song draws to a close, the fans loudly express their delight. This sound is more akin to the roaring you might hear in an arena or a stadium, and it’s clear that once this band has shaken the devil from their backs, there will be no limit to the heights they can reach. 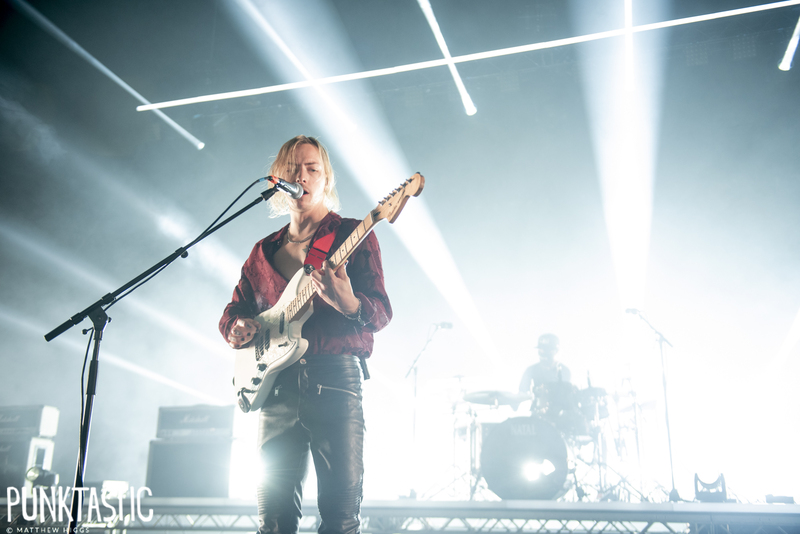 The night was, as front man Ryan rightly pointed out, “absolute mayhem” – and in true British style, the football chant started by the band that states just how much The Hunna loves Brixton was an appropriate and heart warming end to the night. After selling out this venue three times in a row, this may well be the last semi-intimate London show for The Hunna, and it was a privilege to be a part of it.